Poster depicting four people. The woman is monumental, with a billowing dress and a Red Cross hat. She is holding a boy with a crutch in her left arm. Her right arm is around an elderly man with a cane, and a woman. Text reads: "Still the Greatest Mother in the World. 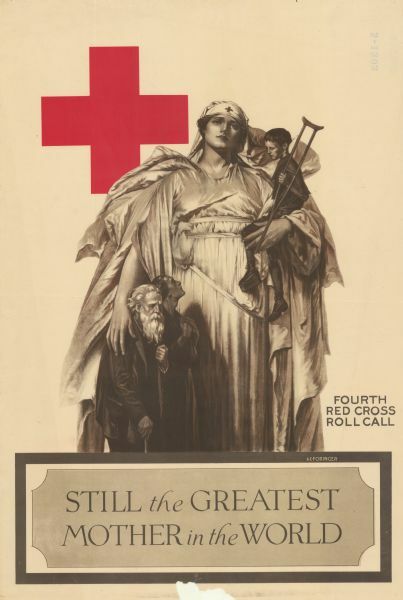 Fourth Red Cross Roll Call." The Red Cross logo is at the top left. Illustration signed by Alonzo Earl Foringer.